LCOR’s 250N10 in Williamsburg is rounding towards glowy-luxury completion. Move-ins commenced last month at the 234-unit, six-story rental. Designed by SLCE Architects, the building sports a bright glass curtain facade with rich blue, green and tan accents. 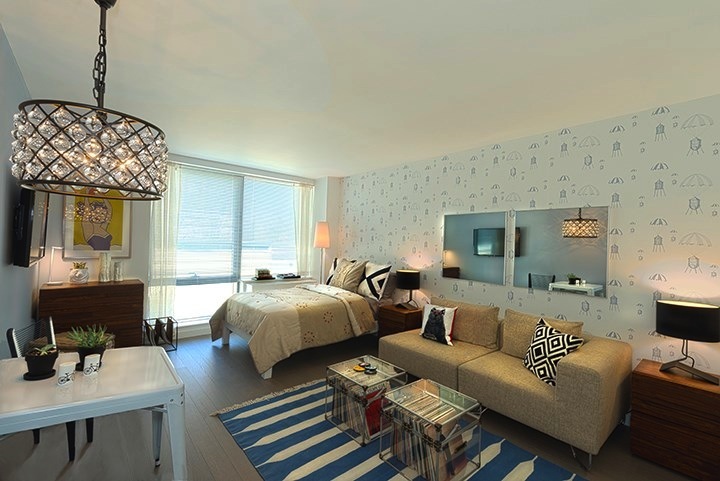 The development offers a mix of studio, one and two-bedroom apartments, with private terraces in select units. 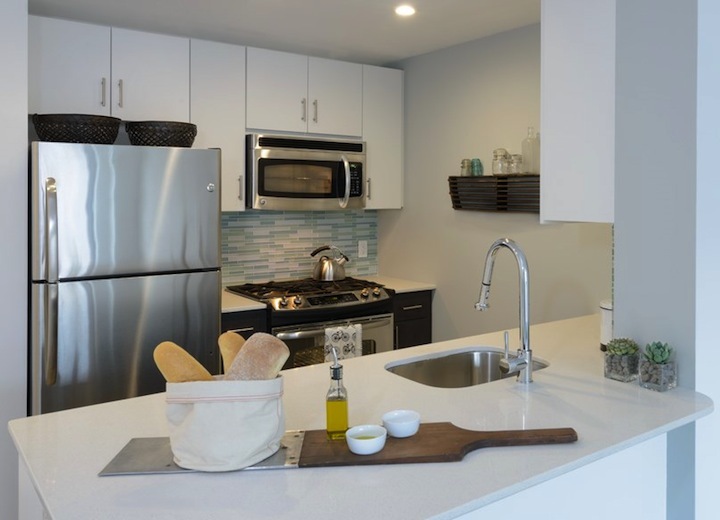 Every residence has hardwood flooring, big windows, in-unit washer/dryer and a kitchen with quartz countertops, glass tile backsplash and stainless steel appliances. 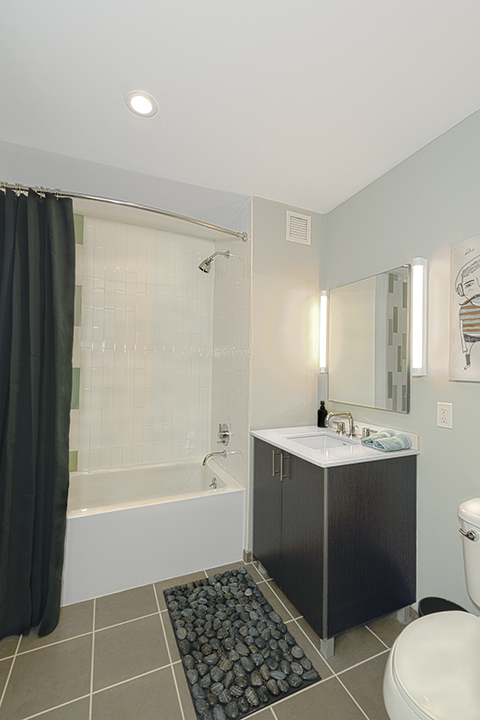 The sprightly bathrooms’ glass tile accents are a design callback to the building’s facade. 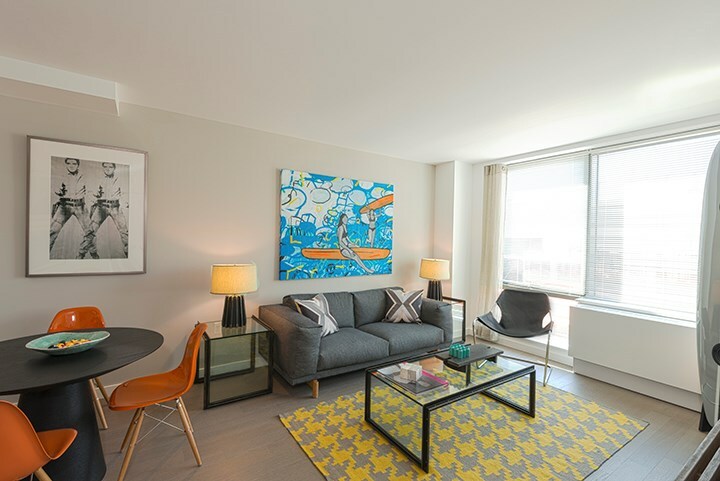 Rents for available units begin at $2,600 for a studio, $3,400 for a one-bedroom and $4,600 for a two-bedroom. 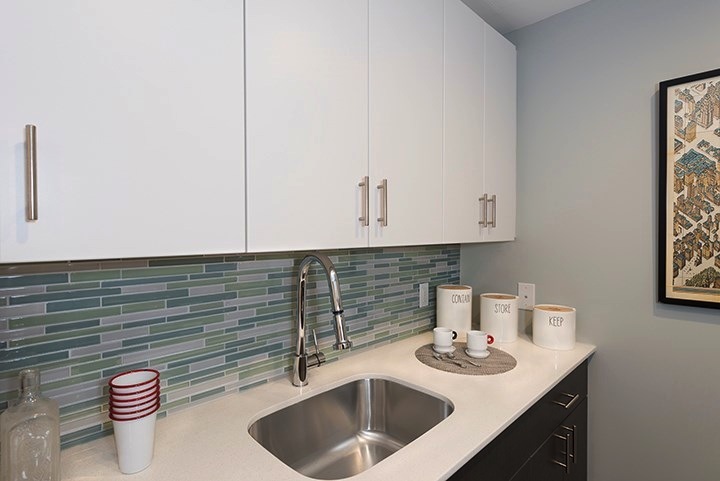 Amenities include a 24-hour concierge, cafe lounge with landscaped courtyard, gym, residents lounge with pool table and flat screen TV, furnished roof deck with a BBQ area, parking and storage. The fitness center and lobby lounge are slated to be finished this month, while the remaining amenities will be revealed in June.